KELLY SLATER WINS HIS 8TH WORLD TITLE. Sunset Beach, HAWAII - (Wednesday, December 6, 2006) - Australian Joel Parkinson has claimed his second O’Neill World Cup of Surfing title in five years with a stunning victory over South African rookie Jordy Smith, three-time Vans Triple Crown and world champion Andy Irons (Kauai, Hawaii), and local surfer Fred Patacchia (Oahu, Hawaii). More O'neill World Cup of Surfing News, Information and Results from Pro Surfing .com... Watch the Video! 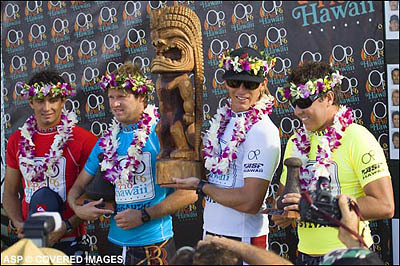 Andy Irons wins OP Pro Hawaii and gets a jump on the Vans Triple Crown of Surfing series ratings. 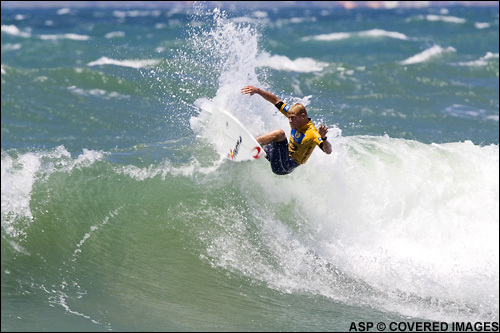 MICK FANNING IS 2006 NOVA SCHIN CHAMP! IMBITUBA, Brazil (Friday, Nov. 3, 2006) – ASP President Wayne ‘Rabbit’ Bartholomew and Brazilian surfing legend Flavio Padaratz are pleased to announce that a three-year deal securing the highly anticipated return of the ASP World Masters’ Championship was recently signed in Imbituba, Brazil. JOEL PARKINSON WINS THE QUIKSILVER PRO FRANCE! HOSSEGOR, France (Saturday, September 30, 2006) – An ecstatic Joel Parkinson (AUS) has claimed victory in the Quiksilver Pro France presented by Evian. NATE YEOMANS IS NEWPORT BEACH PRO CHAMPION! 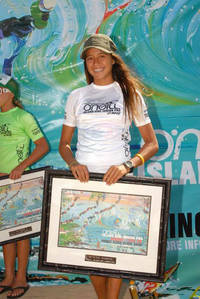 LINDSAY STEINRIEDE CROWNED NEW U.S. WOMENS LONGBOARD CHAMPION! EPS FOAM CORE AND EPOXY RESIN SURFBOARDS … ARE THEY THE FUTURE? September 21, 2006 - I recently met with Tim Stamps of Stamps Surfboards to discuss what my options were for my first board since the closure of Clark Foam. I’ve known Tim for a long time and he knows how I surf. Tim has shaped several boards for me and I couldn’t be more pleased. With limited polyurethane blank options, Tim recommended trying an EPS (expanded polystyrene) core blank. He has invested a lot of time and effort to develop his EPS skills to take him into the future. Read More from Boarding.net. Pat Gudauskas Wins Pantin Pro! Bede Durbide wins the Boost Mobile Pro beating Kelly Slater. 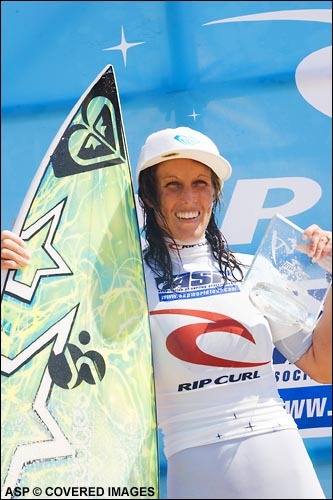 Lee Ann Curren, 2006 ASP European Pro Junior Champion. 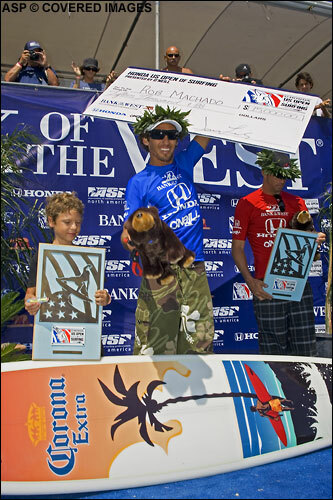 Sunday, July 30, 2006 - Former two-time event champion and last year's runner-up Rob Machado (Cardiff, CA) re-asserted his U.S. Open of Surfing supremacy today winning his third title in front of thousands at Huntington Beach. 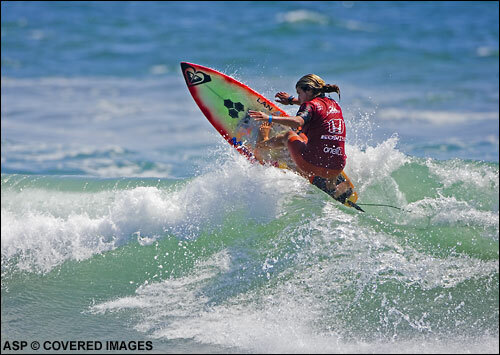 More US Open news and results from ProSurfing .com. 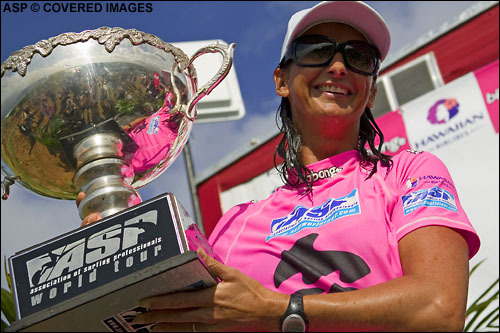 Saturday, July 29, 2006 – Former Association of Surfing Professionals (ASP) Women’s World Champion Sofia Mulanovich (Lima, Peru) won the Women’s Honda U.S. Open of Surfing presented by O’Neill in front of a capacity crowd at Huntington Beach this afternoon.More US Open news and results from ProSurfing .com. 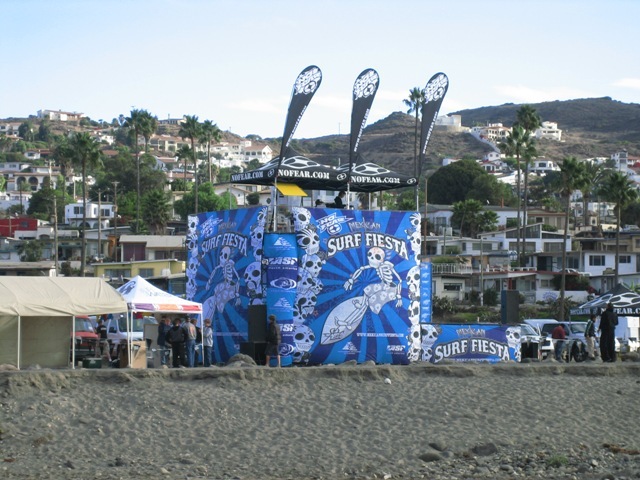 NEW NAMING RIGHTS SPONSOR SOUGHT FOR JAPAN ASP WORLD TOUR EVENT. 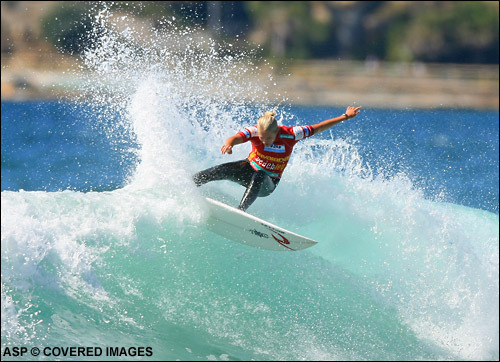 SYDNEY TO HOST RICHEST ASP WOMEN'S WORLD TOUR SURFING EVENT. MARTINEZ WINS BILLABONG PRO TAHITI AND SHOOTS TO SECOND ON THE RATINGS - SLATER INJURED! 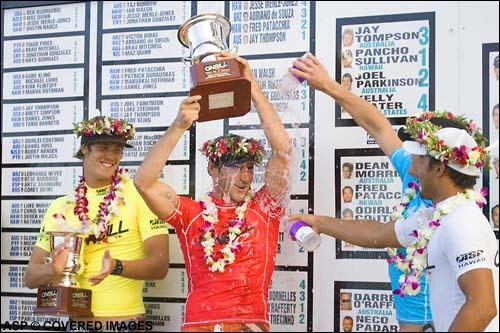 SATURDAY 13 MAY, 2006 - Rookie Bobby Martinez (USA) has turned the surfing world on its ear today by pushing past a host of established pro tourers to claim his first-ever major event win at the Billabong Pro Tahiti. 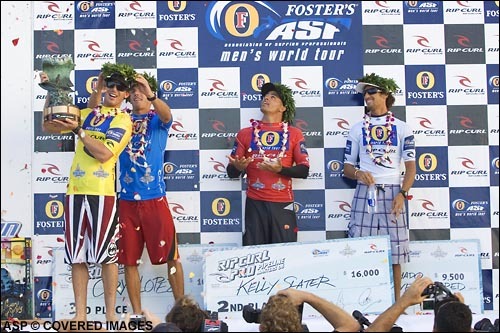 Defeating the 2005 Foster's ASP Men's World Tour Rookie Of The Year Fred Patacchia Jr. (HAW) in the 40 minute and extremely tight affair, Martinez scored a total of 16.27 to Patacchia's 16.07. 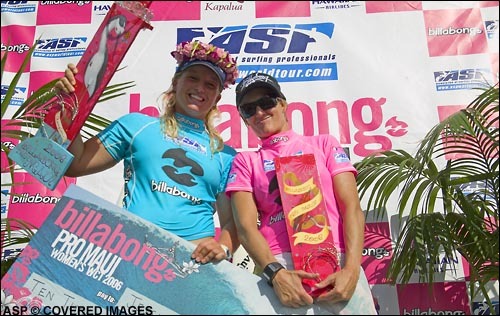 More Billabong Pro Teahupoo Tahiti News and Results from ProSurfing .com .. Check out the Video. They are Ripping! CONTROVERSIAL Brazilian surfer Neco Padaratz signalled his intention to rejoin the elite World Championship Tour ranks when he blitzed day two of the Vodafone Open at Newcastle Beach today... More. Legendary Australian surfer Mark Occhilupo completed the fairytale finish by winning the Margaret River Pro in increbile circumstances today. in the final to take home the inaugural Vans Pro Championship... More.